You'll be £16.99 closer to your next £10.00 credit when you purchase Sheffield City Battalion. What's this? On the 10th September 1914 the City of Sheffield officially raised its own battalion, named the 12th (Service) Battalion York and Lancaster Regiment (Sheffield City Battalion). Just three and half years later in February 1918, the Battalion was disbanded, never to be reformed. In this short space of time over 3,000 men passed through the ranks of the City Battalion. Of these almost 700 were killed or died of their wounds, and over 500 were commissioned. The book covers the raising of the battalion , training, Egypt, early days in France, preparations for the Somme, 1st July (over 248 men killed, over 300 wounded), the aftermath of the battle, Neuve Chapelle, Arras, Vimy Ridge and finally disbandment and post war. The book also has extensive appendices, listing decorations, army organisations and ranks, biographical list, The Reserves Companies, Documents. With a unique selection of photographs this book is a tribute to the men who served in the Sheffield City Battalion. finally disbandment and post war. served in the Sheffield City Battalion. 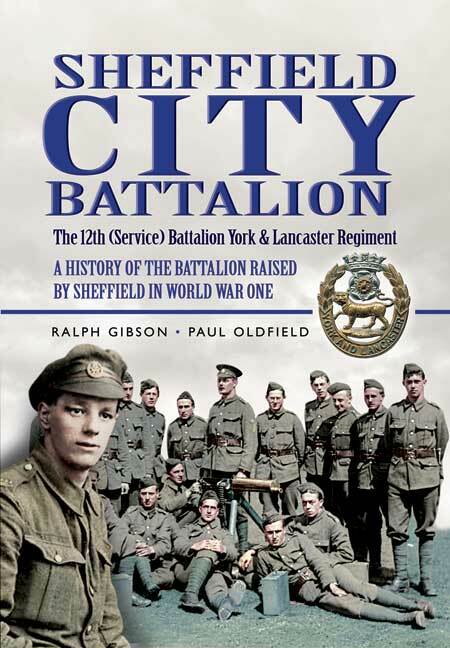 With a unique selection of photographs this book is a tribute to the men who served in the Sheffield City Battalion. THE phenomenon of Kitchener's Citizen Army and the Pals Battalions is encapsulated in this comprehensive and emotive history. The Sheffield Pals were at the centre of what became known as the blackest day in the history of the British Army – July 1, 1916. This excellent history tells the story of men from every background in Sheffield from the raising of the battalion, through the debacle of the Somme and beyond. Packed with maps, photographs and personal histories it is an authorative standalone battalion history ideal for the Western Front expert or the novice. Soon after the outbreak of war in September 1914, the City of Sheffield began raising its own battalion. Some three and a half years later the Sheffield Pals as they and became known as disbanded, never to be reformed. More than 3,000 local men served in battalion, of which some 700 were either killed or died of their wounds. The Pals distinguished themselves in the heat and dist of Egypt and the mud of the Western Front. This is their story. This book differs somewhat in tone and content from many regimental histories from the Great War. The first difference comes at the point where the battalion leaves British shores - unlike the vast majority of New Army battalions the 12th didn't go straight to France, but instead was sent to Egypt, where it spent some time defending the line of the Suez Canal. This gives the book rather more variety than is often the case. The second difference comes in the account of the First Battle of the Somme. Here the authors begin with a detailed look at the background to the battle, the British plans for the attack, and the reasons that they failed. This gives us a much more detailed picture of the attack of 1 July 1916 than is often the case, and makes it clear that the disastrous British defeat on the first day of the Somme was much more complex than is normally believed. After providing us with this background, the authors then produce a detailed and compelling account of the Battalion's tragic involvement in the attack. After the Somme we follow the battalion as it moved around some of the best known parts of the Western Front, although normally arriving during relatively quiet periods. Finally, as the man-power crisis began to hit, the battalion was disbanded and most of the remaining men moved into another battalion of the York & Lancaster Regiment. This is an excellent battalion history, and also a valuable contribution to the literature on the Great War.